We've all seen those nature shows. We KNOW what those animals are doing, right out in the open. Have they no shame? Won't someone think of the children? Well, perhaps they can't help it. Those natures shows have assured us that it's completely natural, but one thing is for certain. The North Pole must be one wild and crazy place with all of those reindeer hanging out near Santa's workshop. 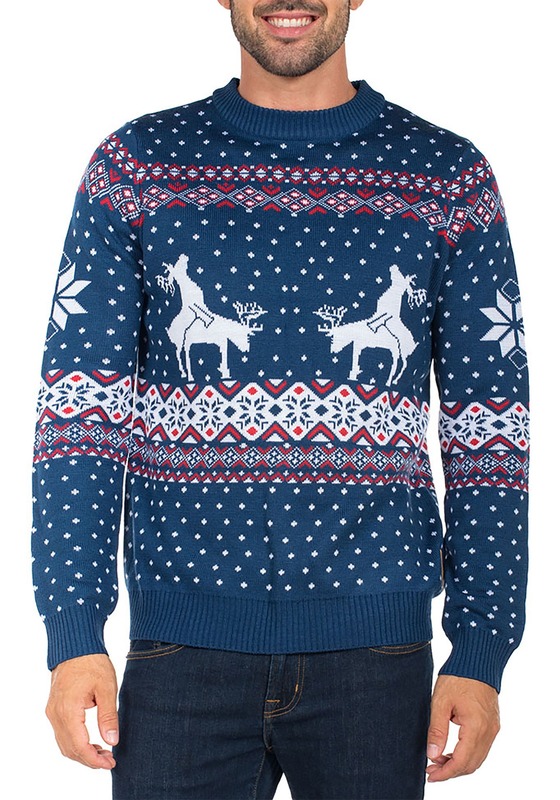 It probably looks a little like what's depicted on the front of this Tipsy Elves Reindeer Climax sweater. This ugly Christmas sweater isn't your grandma's sweater. 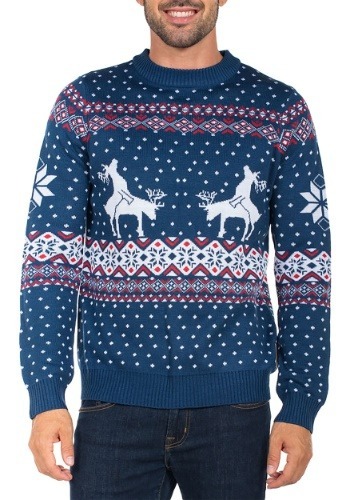 In fact, we doubt that your grandma would approve of this particular holiday sweater, since it the image of reindeer doing... er hem... what reindeer like to do in the wild. 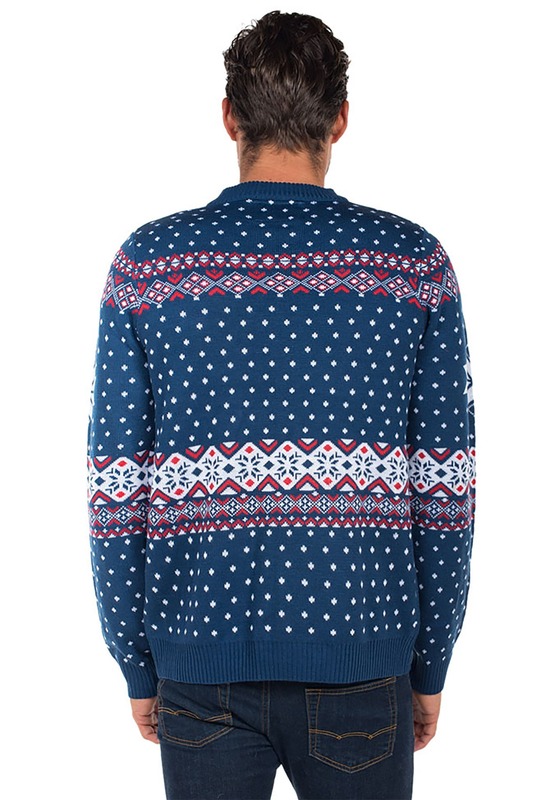 It also has snowflake designs and some festive red patterns to help you feel the holiday cheer. The knit sweater is made of acrylic fiber, so it's guaranteed to keep you nice and warm on the cold winter nights. It's best not to judge reindeer for their natural behavior... even if it is a little shameless! Just make sure you don't wear this Tipsy Elves ugly Christmas sweater while visiting grandma for the holidays.